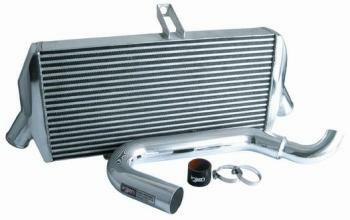 Injen Technology Front Mount Intercooler Kits offer additional performance for your turbo charged vehicles. Each item is carefully engineered and tested to offer some of the best aftermarket upgrades in the market. Injen’s unique design features their innovative step down piping and aggressive tube and fin type intercooler cores to give your turbocharged vehicle the best cooling system on the market.